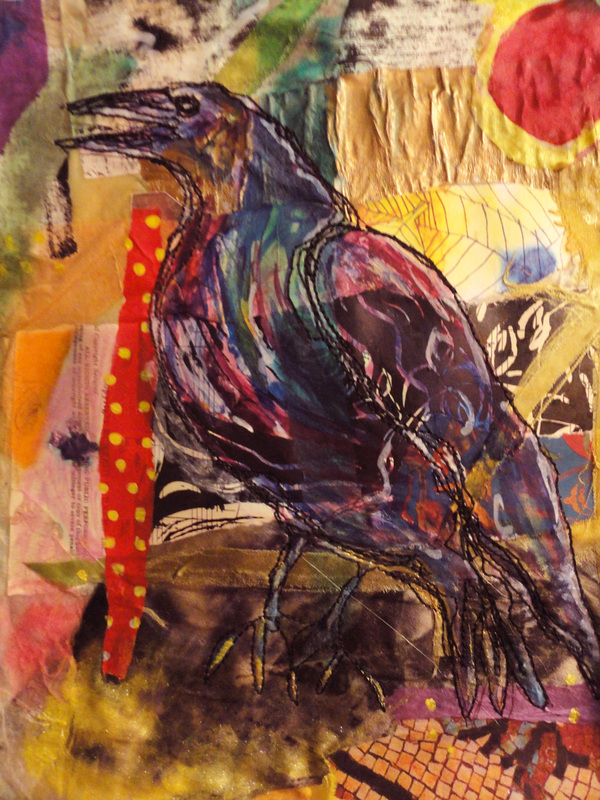 My art practice explores materials and processes associated with natural dyes, silk, stitching, and repurposed materials. The desire to use collected items and natural dyeing techniques has become an important part of my art practice and contributes to a growing movement to be more sustainable. As well, I find that dyes from plant materials offer some of the most beautiful colour options that are not available from synthetic dyestuffs. 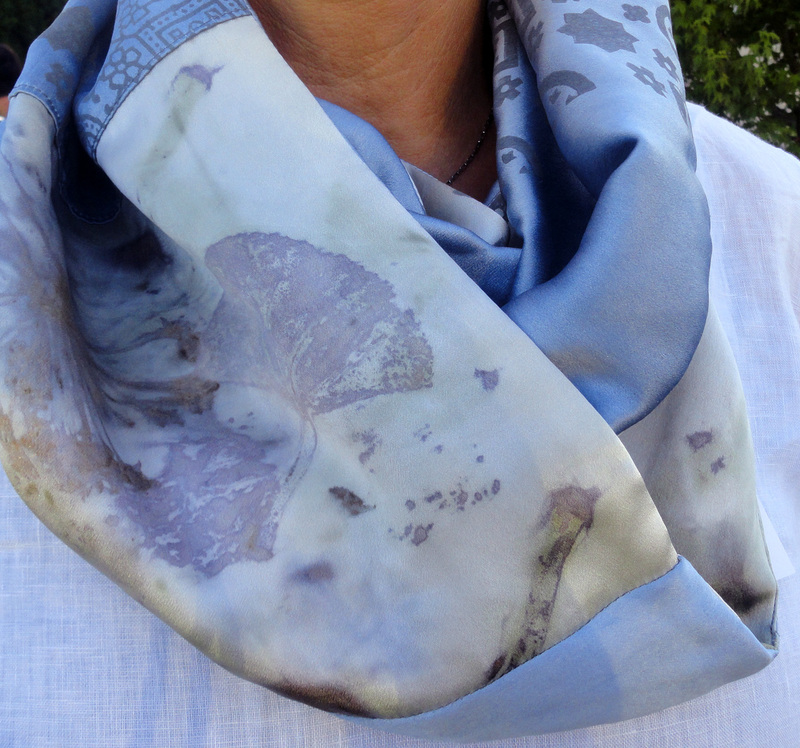 As part of my process I dye metres of silk in one colour, over-dye it with another, adding texture and pattern with one or more of the following processes: shibori, rusting, leaf printing, block printing, embroidery, and Japanese wax-stencil dyeing. After the fabric is completed I design and sew the silk into a garment or wearable art accessory. The finished silk can also be used as a piece of wall art. I like to create both functional and non-functional forms as it allows me to play with the similarities and differences between art and craft. I am further motivated to combine my dyed fabrics with collected papers and repurposed materials to create a canvas for mixed media artworks. Using my sewing machine as a drawing pencil, I thread-sketch onto the surface, creating 2-D imagery on subjects that hold meaning for me. I enjoy working in fibre as it allows me endless freedom to express myself. 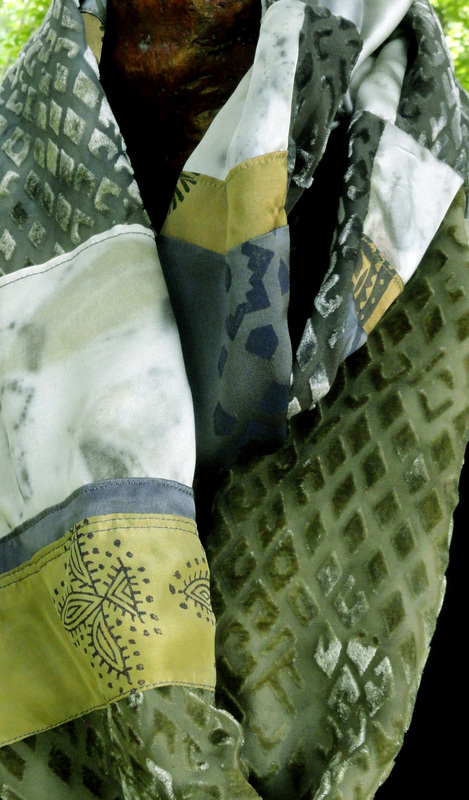 Anne Fetterly has been creating with cloth, paper, needles and dyes most of her life. She was taught to sew at the age of six and continues to use the sewing machine to construct her natural dyed silk garments with. In addition, she uses her machine as a drawing pencil, for thread sketching. She earned a BFA (in fibre) with honors in 2010 from the Alberta College of Art and Design. She is a member of Surface Design Magazine, a director on the Creston Arts Council and a current and founding member of Contextural: a fibre arts co-operative. She has taken part in many group shows and is represented in several galleries within Canada. 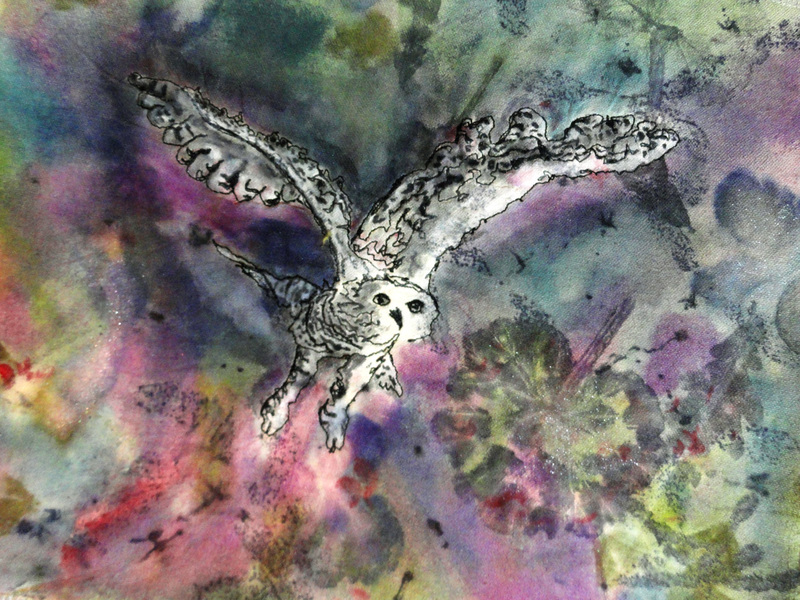 Currently Anne works with natural dyes incorporating various textile processes. 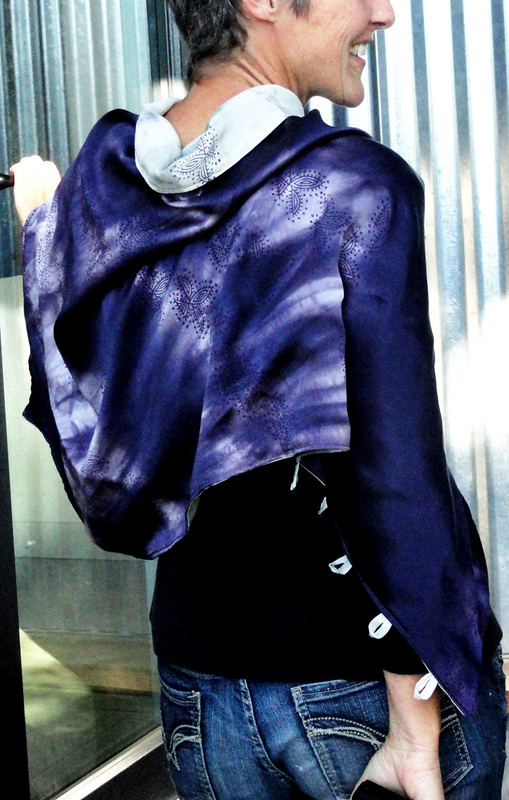 She is inspired by the unpredictable beauty of natural dyes and the subtle colour options they offer. In 2010 Anne placed third in the 6th Natural Dyeing Biennale, in Okazaki City, Japan. She currently lives in the beautiful Creston Valley in BC. She practices and promotes the presence of textiles and its related processes within contemporary art today.